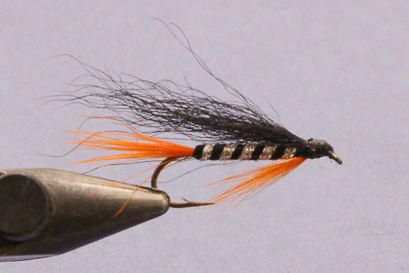 This fly is a favourite for night fishing for seatrout. Best used as a point fly with a smaller dropper, i.e. a mallard & claret. If you are lucky enough to be at the river during the day when it is running off and there is still some colour in the water, you will find a gold head version is well worth a try. Happy Fishing from Dave C and the team. Your finger work is great! You make it look so easy, but you have been doing this for many years. Thanks for sharing your knowledge. I just started. tying. So eager to learn at 51 !! Will watch all of your videos. You explain it perfect. Nice looking fly David, Glad to see a new video. Do you not tie on stainless steel for saltwater there? Hope you are well and keep these lessons coming.